Here is one very simple costume. I made this for children’s play at school, but it could be used for Halloween, too. 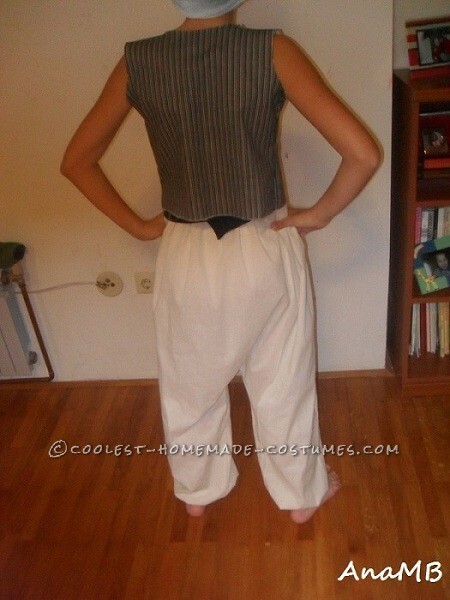 For baggy pants, you should tailor the fabric as shown on photo bellow, twice. Easy. 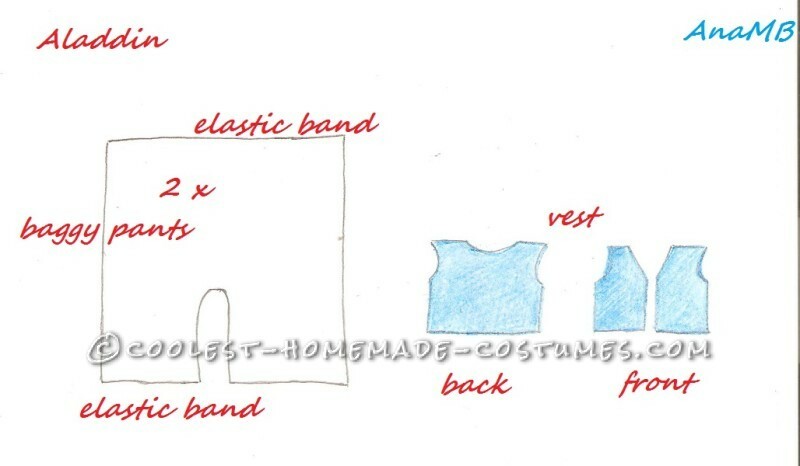 For belt, use one wide piece of fabric and wrap it around his waist. 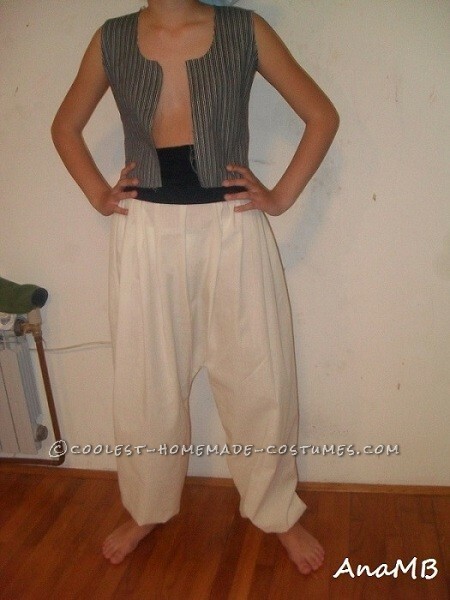 When you make vest, make sure front parts don’t overlap.